Adventure trail with a range of fun and exciting activities that will keep children occupied for hours – find secret boxes, follow giant footprints, explore the wildflower meadow and much more. 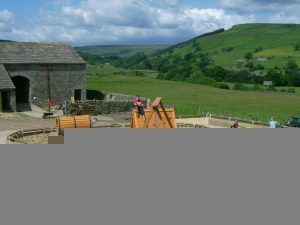 Also a small shop, picnic and play area, plus the Studfold Nidderdale Way Cafe. Price: Adults £6 Child £5 Under 3s free. Concessions and family tickets available.